Jeff is a multi-instrumentalist with bass being his principal. Naturally inclined to music, Jeff was accepted and attended Berklee with just under two years of private lessons. 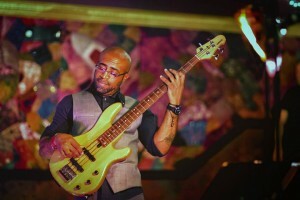 At Berklee, he studied under Rich Appleman, Fernando Huergo and Oscar Stagnaro while playing in rock and jazz ensembles. Jeff has been playing in the North Shore music scene for many years now and has become a very versatile musician, able to play numerous styles of music. Currently Jeff works as a music instructor and a freelance bassist who is in high demand.